I will argue against this view but it should not be taken that by this Trotsky believed that any particular country had to have fully developed capitalism before socialist revolution could succeed because obviously his theory of permanent revolution argued precisely that this was not the case. The argument just presented is a view of the world taken as a whole and not any particular country. In his view capitalism could break at its weakest link but this is not Marx’s theory of the transition to socialism. For capitalism not only to break but be replaced by socialism it is necessary that capitalism be broken not where it is weakest but where the working class is strongest, and the two are not the same. The view that the productive forces have to have exhausted themselves has been a default view of much of the Marxist movement since 1938 and the writing of the Transitional Programme, which was called ‘The Death Agony of capitalism and the tasks of the Fourth international’. Adherence to this view means accepting that we have been living during a period of capitalism’s death agony for the past nearly 80 years. It is this that justifies the view that objective conditions make the world ripe for socialism and that what faces socialists is a crisis of working class leadership. The task is simply to fight for leadership of the working class as it presents itself; its objective position and situation within society is relevant only in so far as it lends itself to gaining such leadership. Since capitalist crises cannot be definitively solved by capitalism then such crises provide the opportunity for Marxists to win this leadership. Those who have read earlier posts in this series will know that I reject the view that the productive forces of capitalism have stagnated. This view was certainly challenged by the post Second World War economic upturn. Crisis conditions in the 1970s and 1980s might have revived the view that capitalism was in long term crisis but the period since has seen huge economic growth. Again the view that capitalism is in crisis might be bolstered by the financial crash in 2008 and the secular stagnation following it that has been posited by some writers but such crises do not amount to the long term crisis of capitalism suggested by Trotsky and secular stagnation has yet to be demonstrated. If it were, it would still not amount to the long term crisis of capitalism that has been claimed, except that stagnation is not compatible with capitalism and if it existed it would create conditions of crisis. In previous posts I noted that capitalism had continued to develop the productive forces over the last century, including the expansion of the working class, its health and education and also its living standards. Of course this does not mean that the next century will follow the pattern of the last. This is as unlikely as the twentieth century following the pattern of the 19th, but it is at least necessary to appreciate what has already happened before thinking we are qualified for the much more hazardous task of speculating on what will happen in the future. In his book ‘Postcapitalism a Guide to Our Future’ Paul Mason quotes figures that show global GDP per person rising by 162 per cent between 1989 and 2012 and in the developing world by 404 per cent. It rose by ‘only’ 33 per cent in the 100 years after the ‘discovery’ of the Americas and by 60 per cent in the fifty years after 1820. It is hardly credible that the objective and subjective conditions for socialism could be bifurcated for so long – that the problem is simply one of mis-leadership – while the social and political power of the capitalist class over the working class, effected by the enormous development of capitalism, reflected also in the ideological hold of the former over the latter, can be considered a secondary matter. That this continuing subordination of workers by capitalism for decades, without challenge in any fundamental respect, could be considered not to have affected the consciousness of new generations of workers, were it true, would prove Marxism false. The idea that the fundamental problem is simply one of working class leadership is not credible. Marxists are always keen to assert that they do not seek crises and do not welcome the attacks on workers which large crises inevitably result in, including unemployment, wage cuts and attacks on workers’ democratic rights to organise. But if crises do provide the opportunity to replace capitalism, and the grounds for socialism already exist, then this would be something of a puzzle. In part we have already noted the answer – that crises openly express capitalism’s contradictions and posit the need for an alternative. However, it matters not whether socialists wish or do not wish for crises, capitalism will see to it that they erupt anyway. It is not workers who create economic crises but the contradictions of the system itself. Socialists do not welcome crises in themselves because they become opportunities to overthrow capitalism only under certain conditions. Since capitalism has had many crises and we do not have socialism we can infer that these conditions are rather restrictive, or have been so far. Is there anything in Marx’s alternative that explains why this has been the case and therefore what might we change to address our failures so far? An answer to this means going beyond seeing capitalist crises as simply the opportunity to overthrow capitalism without understanding what makes them such an opportunity, as opposed to an opportunity for capitalism to resolve its contradictions at workers’ expense. The answer does not lie in the illusion that capitalism is a system in permanent crisis or is in an epoch of revolution. Crises there have been and even revolutions but clearly this hasn’t been enough for Marx’s alternative to have flowered. The last 100 years has witnessed many revolutions. The most important at the beginning of the last century were carried out under the banner of socialist revolution but they nearly all failed very quickly. Later revolutions that destroyed capitalism did not usher in socialism or even societies controlled by workers taking decisive steps towards socialism. The belief was widespread that socialist revolutions would be complemented by national liberation struggles which would lead to democratic revolutions, but again there were numerous democratic revolutions, few overthrew capitalism and none of them brought about socialism. Since the decline of such struggles the most important revolutions have involved the overthrow of Stalinism and the concomitant reintroduction of capitalism while the Arab Spring has not resulted in any fundamental reordering of society, except in the sense that in some societies it has led to their disordering and collapse. There have been plenty of revolutions but the changes have been mainly one of political regimes without fundamental changes to class rule, at least in the sense of the working class ruling society. Such glimpses of a new worker-controlled society have been brief and fleeting. The history of modern revolutions is testimony to this. The absence of working class revolution is not. Ironically, if you seek to reduce Marxism to a task of resolving a crisis of leadership you weaken its explanatory power, its guide to political intervention and its appeal. Marx was aware that sometimes decades of political development are necessary for a working class to make itself capable of ruling society. This is true now for reasons that Marx could not be fully aware of. What he did do however was provide analyses of capitalism that may help socialists appreciate why we have failed so far. [i] On the Alleged Stagnation of Capitalism, William Jefferies, available on the net. 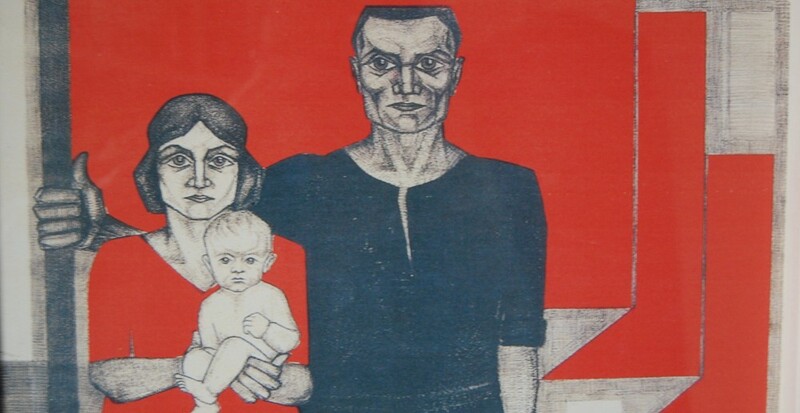 In two previous posts I have looked at Leon Trotsky’s transitional programme and the general approach to a working class programme which it encapsulated at a particular point in time. In this final post on the question I want to look directly at what Trotsky’s views were on nationalisation. As I said at the start of these posts, many organisations claiming inspiration from his politics place calls for state ownership high up in their political programme. This conflicts directly with Marx’s views but we need to look at Trotsky to see if this is also true of him. First we should note that in the transitional programme Trotsky explicitly counterposes ‘expropriation’ to “the muddleheaded reformist slogan of ‘nationalisation’”. He gives four reasons for doing so. The first is that he rejects ‘indemnification’, i.e. compensation to the capitalists. Secondly he does so as a warning against reformist socialists who, while also advancing this demand, nevertheless remain the agents of capitalism. Thirdly he says workers must rely on their own strength. As we have stressed, nationalisation relies on the state. Lastly he does so because he links the question of expropriation with the seizure of power by the workers. This latter point is crucial in his presentation while, because we live in less revolutionary conditions, I have laid greater emphasis on his third reason. When pushed, Trotsky accepts that ‘nationalisation’ may be accepted as a slogan but only in so far as it actually means expropriation and involves a workers’ government to achieve it. In other words reason four must apply. It is possible to argue that the socialist programme must be taken as a whole and that therefore calls for nationalisation are perfectly valid when part of a comprehensive programme. There are several problems with such an argument but we will point out only two. First – try finding the call for destroying the capitalist state or creation of a workers’ state in the programme of the left that might act as an alibi for demanding capitalist state ownership in the here and now. Allied to this is the second reason. In every advanced capitalist country the working class is separated from conquest of state power by a huge gulf in social and political development and experience. The left might often be opportunistic but it is not immune to registering this fact, if only through avoidance of demanding overthrow of the state. In effect a link between nationalisation and a change in the character of the state is non-existent and the former becomes a simple call for the capitalist state to take ownership from private capitalists. In other words the organ of the capitalist class as a collective, and its principal organ of defence of its system, is called upon to play a role in the destruction of this class and system. For some on the left their understanding of Marxism and the working class political programme has degenerated so much that nationalisation of the economy is itself seen as the transformation of capitalism into socialism. In such circumstances however the relations of production remain unchanged; capitalism continues and the working class remains exploited, oppressed and separated from the means of production. It is precisely the establishment of this last condition that made for the creation of capitalism, and its ending that will signal capitalism’s overthrow, when the working class as the associated producers become owners of the means of production. In many formulations of the call for nationalisation there is not even a call for nationalised property to be transferred to workers’ organisations, although the sometimes call for nationalisation under workers control is a nod in this direction. The socialist programme must be understood as a whole and it involves the destruction of the capitalist state and creation out of the working class itself of the new state. In no country does the working class accept such a task or seek a way to achieve it. In no county is it subjectively revolutionary. Trotsky seeks to adapt the working class and its political consciousness to its historical task but if it is not seeking revolution and has a very low level of political consciousness how do we proceed in a revolutionary way that does not address workers with politics that undermines the revolutionary goal? It would therefore be wrong to believe that because the complete programme of revolution cannot right now profitably be canvassed among the working class that the programme that must be fought for is less revolutionary. This is so only in degree but not in any qualitative sense. The revolutionary programme does not lose traction, does not cease to truly encapsulate the interests and immediate tasks of the workers because we cannot yet concretely and practically today propose the arming of the working class and destruction and replacement of the capitalist state. What is also not involved is shying away from arguing outright for a socialist society, a society run by workers, and nor is it necessary or desirable to run away from this vision to the refuge of an improved capitalism. The vision of a systemic alternative to capitalism must capture the working class for it to put it into practice. 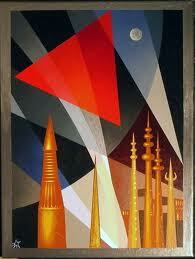 It cannot be the result of stumbling blindly into it through some disembodied ‘logic’ of class struggle. Not speaking the whole truth every time and everywhere does not mean renouncing the goal of socialism at any time. The revolutionary programme in non-revolutionary conditions means first rejecting illusions in capitalism and in its state – encapsulated in the demand for nationalisation. It involves rejecting the substitution of the state for tasks that must be accomplished by workers themselves and it means identifying the steps forward that workers must take to develop their political consciousness, through increasing their economic, social and political weight in existing capitalist society. There is no shortage of demands which can do so. It involves the demand for workers’ cooperatives – production without capitalists, not just as an answer to failing enterprises but as the model for new ones, through employment of workers’ pension funds and sponsorship by existing workers organisations such as trade unions. This is a question to which we shall return. It involves workers reclaiming their organisations from the bureaucracies which currently control them through challenging and defeating these bureaucracies. In Ireland one form this takes is opposition to the policy and practice of social partnership. This in turn may involve creation of new trade unions; whether this is so is a practical and tactical question involving judgments that must ensure socialists and other militants do not become isolated. It means creation of a workers political party that does not become the creature of electoralist stratagems and of TDs, as in the dying ULA. Similarly it does not mean the erroneous view that declarations of revolutionary virtue can in themselves guarantee anything in the wider working class, within which lies the only promise of revolution. The working class will of necessity learn from its own mistakes just as in will be its own liberator. A programme which proclaims that the emancipation of the working class will be the achievement of the working class itself would go a long way to providing such a programme, were awareness of the dangers of reliance on the capitalist state for solutions as strong as it should be. It is arguing against such illusions, at what might seem excessive length, that many of the posts on this blog have been directed. It is therefore time to turn to alternatives. Does the demand for workers control represent such an alternative and does its joining together with a call for nationalisation represent a positive overcoming of the reactionary character of the latter – nationalisation under workers control? (Hint – the answer is no). Does the call for workers cooperatives represent a real working class alternative to capitalism? Not, it would appear, to the organisations in Ireland’s left. But are they right? 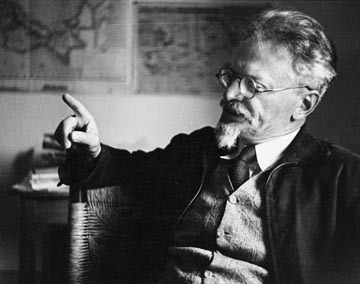 In my first post on Trotsky’s transitional programme I argued that the political consciousness of the working class is critical to the success of the socialist project and crucial to take into account in the development of a political programme. I also noted that the transitional programme was one way of approaching this problem but did not in itself provide a simple solution. It did however provide ways of thinking about one by, for example, raising demands for workers’ control as an illustration of a programme based on workers self-emancipation. The problem arises most clearly, as I said, when the political consciousness of workers is too low for them to effectively rise to the challenges posed by objective conditions. This could be the fight for an alternative to austerity in the south of Ireland or against sectarianism and the state that supports it in the north. How then should a programme be conceived and presented in such circumstances? Socialists must avoid abstractions, which in words such as ‘peace’ or the ‘national interest’ are weapons of the capitalist class. Socialists on the other hand must be concrete in what they propose because a programme is a call to action not, as it often appears, purely propaganda for education purposes. Where it is the latter there is no reason not to speak Marxism clearly instead of debased social democracy. Unfortunately too often the small groups of the left are known for their dishonesty, most obvious when they inflate their own numbers and achievements. This in itself is unimportant except that it is held up as evidence for particular perspectives that are often divorced from reality. Trotsky understands that, in a programme predicated on what it is the working class itself does, the demands of the programme must be based on the truth, on reality and be practical or the working class will have no means to put them into action. So we are to support limited demands if these are able to bring workers into active political activity while it is still necessary to state the truth that much more radical action may be required to achieve given objectives. The organisations on the left repeatedly argue that workers’ consciousness can change quickly, and so it can, but this is mostly simply a way of avoiding the reality of the distance that workers must travel, the time required to do so and the experiences that must be gone through. This also plays a role in the debasement of the socialist programme, prompting attempts to make it look more ‘realistic’ and even ‘common sense’ by constructing a socialism based on widespread illusions in the capitalist state. How much more realistic, upon such illusions, do calls for nationalisation appear than the call for workers’ cooperatives or other measures of control? 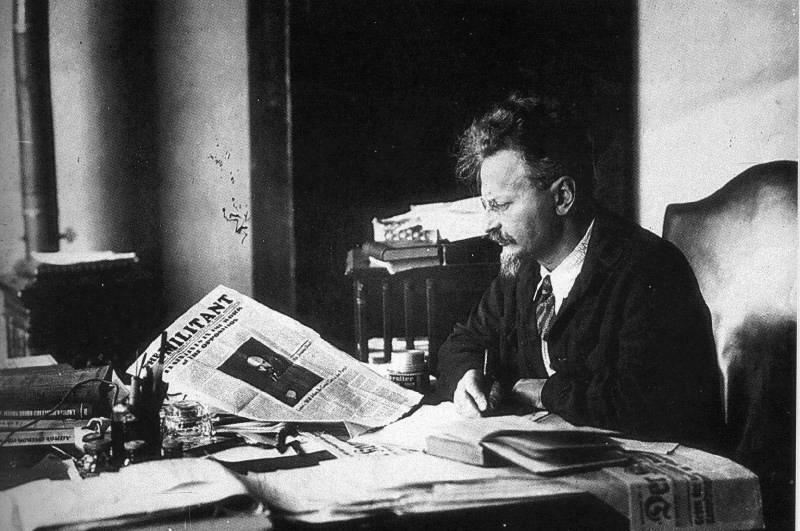 So if we can try to summarise Trotsky’s approach, it is one that starts from trying to change the consciousness of the working class, through its more militant elements, in order to change objective conditions which alone set the tasks of the working class. In the ‘transitional epoch’ that Trotsky described “the workers’ movement does not have a systematic and well-balanced, but a feverish and explosive character” and might therefore have been expected to be more open to the changes in organisation, action and consciousness that were required. As I said in the first post the workers movement today in European countries cannot be said to have this character. The organisation and consciousness of workers today must therefore be considered much more an objective factor than when the transitional programme was written. This reflects the long history of capitalist boom conditions after the Second World War and the defeats inflicted on the workers movement in the most advanced countries plus the general discrediting of socialism consequent on Stalinism and its collapse. To a much greater extent therefore the tasks of the programme is to confront workers with the objective circumstances which include the limitations of their own consciousness. Since for Marxists consciousness must reflect reality, changing consciousness means changing the conditions of workers themselves, including their own organisations and their workplace experiences. This is the task of workers themselves. The Marxist programme must therefore place to the fore the working class changing its own circumstances so that objectively it increases its political and social activity. That this does not immediately raise the question of revolution does not matter since this cannot be raised concretely and practically any other way and certainly not by programmatic demands issued by small groups. It must be realised that a revolutionary programme is not defined by adherence or commitment to the call for revolution now or in the future (in the sense of smashing the capitalist state and creating a new workers’ state). In the first case this is revolutionary phraseology only and in the second is merely a promise, and promises are regularly broken. Revolutionary politics exist in today’s period of retreat as they also more clearly do in periods of offensive and they do so whether an actual revolutions is more or less probable. Revolutionary politics means the self-activity and independence of the working class themselves and an acceptance that just as workers must achieve their own emancipation they must also learn their own lessons and do so through their own mistakes. Marxists can lessen and shorten this process but not abolish it. To counterpose real expressions of working class action that may be politically weak and to abstain from it in favour of hypothetically more advanced courses of development is a sectarian mistake. This is not such a common mistake on the left today since it usually makes the opposite one but it is sometimes reflected in demands for acceptance of programmatic positions that in themselves do not answer any real tasks more or less immediately posed. The more common mistake is to substitute action by others for action by the working class and in a whole series of posts I have given examples of this being done. To return to the beginning of the first post – Trotsky’s transitional programme gives no support to those who believe state ownership is part of the working class programme. It is rather the predominant means by which the left supports actions by others for what can only be achieved by the working class. 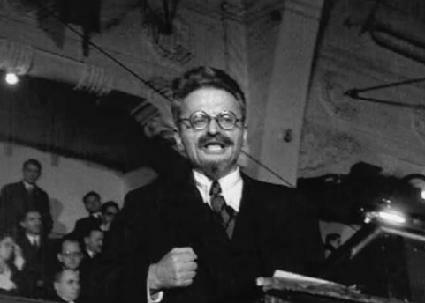 In the next post I will look at what Trotsky had to say on this.